Alex Scott arrives on the Costa Brava for some rest and relaxation whilst doing a spot of house-sitting for an old friend's father. He's disturbed to hear that eighty-year-old caretaker Manolo has fallen to his death over the side of a cliff in what appears to be an unlikely accident. Alex can't shake the feeling that something is very wrong. He's convinced young Russian oligarch Olenka is at the bottom of it but needs evidence to convince the local police. I thought this was a highly enjoyable read. I loved the unusual setting of Spain's Costa Brava coastline and thought it very original. Protagonist Alex Scott was a likeable chappy who unwittingly found himself caught up in some dangerous goings-on in the sun. The book was very well-written and raced along at a good pace. The twists and turns were excellent and just when I thought I'd figured it out, the author threw in another curveball to put me off the scent. Just the sort of book I enjoy reading. My thanks to author David Kennedy for providing a copy of this book. 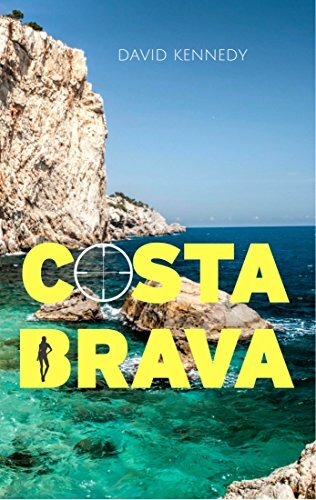 An accidental death brings Alex Scott to Spain´s Mediterranean coast. But what promises to be a few fun-filled weeks house sitting in a millionaire´s paradise soon turns to tragedy as Scott is drawn into a web of mystery, deceit and murder. What was the eighty-year-old caretaker doing climbing cliffs? Is all what it seems with the beautiful blonde from the bar? Can Scott uncover the mystery of the lighthouse that his neighbour will kill to protect?